With 3 years experience in the industry, a BSc (Hons) degree in sport and exercise science, and a being keen gym enthusiast of 8 years, it is obvious to everyone that Sam is passionate about his craft. 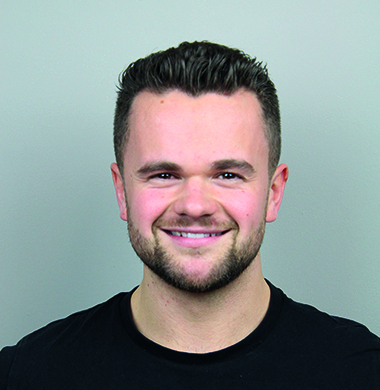 Sam prides himself on taking a scientific evidence-based approach to all of his work, ensuring his clients get the most optimal results training can provide. He has experience in training young athletes of all ages in a wide variety of sports. To name a few; premiership level rugby, national swimmers and track and field athletes, and semi-pro football players. He is currently on track to gain his UKSCA accreditation this year; meaning he will be internationally recognised as a specialist in sports-specific training. He believes young athletes deserve the best opportunities to progress not only in education, but within sport too. Whether you’re seeking athletic development, strength training, building muscle or losing weight, Sam has extensive knowledge in all of the above with multiple client success stories to support it. Sam’s personal goals always change, but he strives to improve both mentally and physically to become a better version of himself. He is currently focusing on increasing his strength and improving his physique. Despite being a results-driven trainer, his friendly and enthusiastic demeanor makes him extremely approachable and loves it when people ask him questions – so don’t be shy and go and say hi!